This project was a lobby renovation of the Spalding Building, in downtown Portland that was originally built in 1911. The building was originally the Oregon Bank Building and has been on the National Register of Historic Places since 1982. The lobby had been remodeled years earlier and the owners wanted to renovate the lobby to a more modern clean design without losing the historic reference of it original intent as a bank. 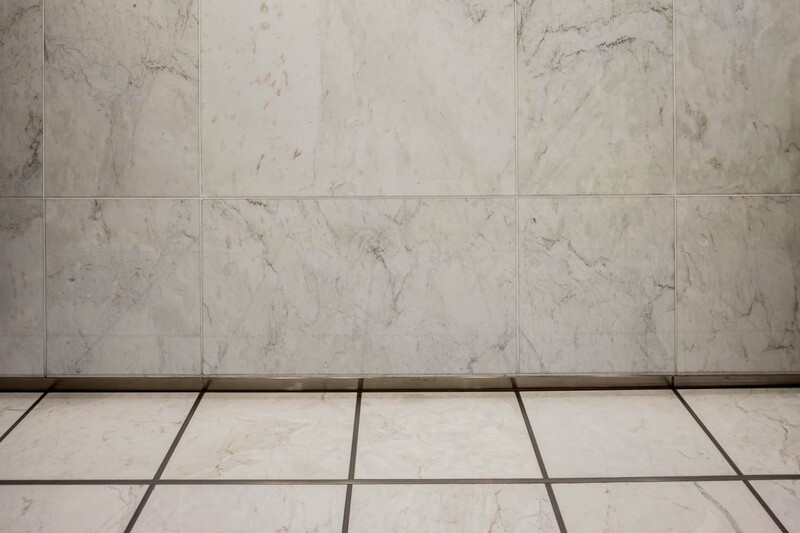 Calacatta Sponda marble was selected as the material for the paving, elevator cab flooring and majority of the wall cladding. 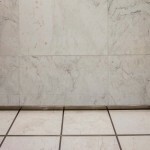 The marble comes from the Carrara region of Italy and has the typical markings of gray that most marbles have. The Calacatta Sponda is different in that it has subtle brown markings that add to the beauty of this particular type of marble. 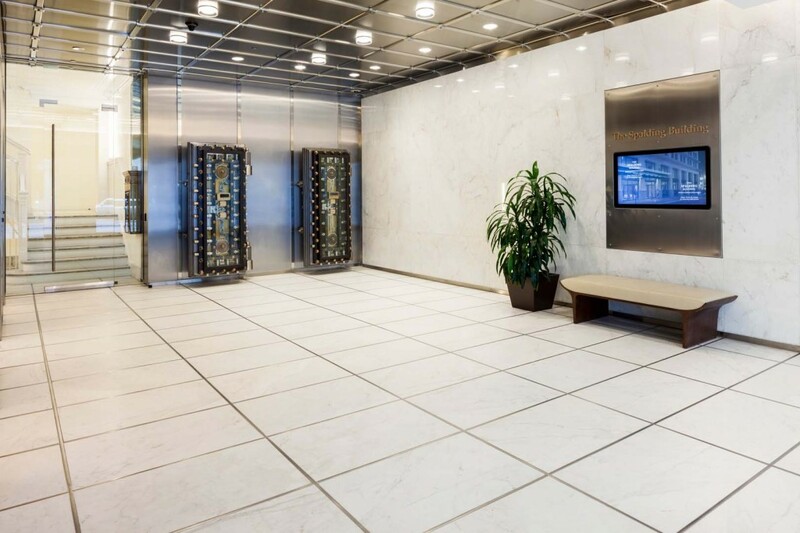 Stainless steel ceiling and wall panels were used in conjunction with the marble. In an effort to have some connection between the two materials, stainless steel strips were set in the joints between the marble pavers as an accent. The details and the finished product create a very clean look. The installation and tight tolerances made this simple accent one of the most challenging elements of the project. Calacatta Sponda Marble (1,600 SF) Supply of raw slabs by Freda Marmi, Carrara Italy and Fabrication by Natural Stone Designs, Tualatin, OR. This entry was posted in Office Buildings on November 26, 2014 .